Welch manufacture vacuum belt-drive and direct-drive vacuum pumps, dry (oil-free/oil-less) PTFE diaphragm pumps and dry WOB-L piston pumps. 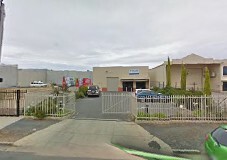 The business of Welch is serving your application needs. 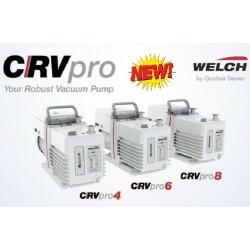 For over 100 years, Welch has been supplying pumps for your vacuum applications. Welch has developed an in-depth knowledge from these years of experience on selecting the correct vacuum pump mechanism and modifying the vacuum mechanism to meet particular application needs. Welch employ vacuum belt-drive and direct-drive vacuum pumps, dry (oil-free/oil-less) PTFE diaphragm pumps and dry WOB-L piston pumps technology. In line with their goal of meeting your pump application needs, Welch have recently added peristaltic liquid pumps and accessories. 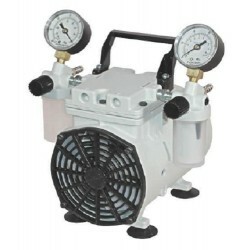 Vacuum pumps special design for chemical resistance to aggressive fumes. 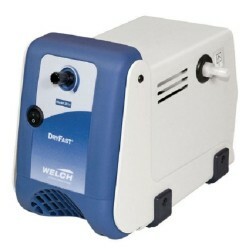 Clearance Special: WEL2031C, Welch Chemical Resistant Vacuum Pump oil free diaphragm 27 Litre/minute Normally: $3,500 Ex-GST, Special Price $2,000 Ex-GST Only 1 left at this price! 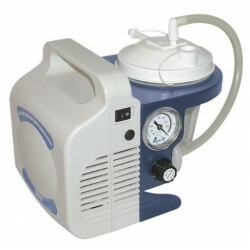 Liquid trap to avoid ingestion of fluids into the pump. Vacuum regulator adjusts and monitors vacuum level. Dial vacuum gauge for continuous vacuum level monitoring. Vacuum to 27.2” Hg (model 2515) and 21.3” Hg (model 2511.) Automatic flow shut down when full. Bleach resistant construction extends service life (model 2515).